in finding their gifts, their Medicine, their authentic Self. living in alignment with Earth Medicine, Moon Medicine and the PSYCH-K® Principles of Nature. in a shamanic journey or meditation. Book YOUR Discovery Session Now - LET'S CHAT ! offering workshops, on-line events and private sessions. earth medicine, the Principles of Nature, energy work, alchemical healing and PSYCH-K® balancing. the CThA, the Complementary Therapists Association. and in our social media (see footer). We each come to our work and our authentic Self in different ways . . .
perhaps following different and divergent paths until we each find our Self in a place we can call Home. My paternal grandparent's wedding: the merging of the Irish and English branches of our family. My path towards Celtic shamanism, energy healing, coaching, PSYCH-K® and hedgewitchery began with the awareness of my six-sensory intuitive abilities in childhood, no different from many others in my Anglo-Irish family. ​I grew up thinking that everyone could hear Spirit, chat with the faeries at the bottom of the garden, and fly through the neighbourhood in their dreams. ​Many generations of our family had "the gift", and were practising psychics, tea cup readers, and mediums. This was our "normal". The RMS Sylvania at Liverpool's Pier Head. When I was five years old, we moved from Liverpool, England to Canada on the RMS Sylvania (pictured here at Liverpool's Pier Head) and I quickly learned that my gifts were not shared – or believed or understood! – by all. My first "leap of faith", skydiving in my 20s! Professionally, I initially followed a more traditional path, obtaining advanced degrees in psychology and arts management, and worked in the arts and music industries in Banff, Canada and then London, England. ​Upon my return to Canada, I felt called to shift my work into the corporate world and, even though very successful in the arts, began a new chapter in my life. That world never truly felt in alignment with my path, with my purpose. I learned a great deal from all these experiences, but knew it was time to start living my authentic life again. In 2003, I took a leap of faith, left the corporate world and haven’t looked back! I gave myself the gift of a year’s sabbatical to study wherever my heart and soul took me, such as NLP-based life coaching, Reiki, aromatherapy, crystals, healing, writing, intuitive development and more. Since that sabbatical, I have continued to grown and learn, obtaining credentials in LifeForce Energy Healing, Spirit Guide Coaching, PSYCH-K®, PER-K®, shamanism, Goddess energies and archetypes, herbalism, Earth Medicine, Alchemical Healing, Moon Mná Mamai Celtic Women's Circles Facilitation, and many other healing and shamanic disciplines. The development journey is life-long. 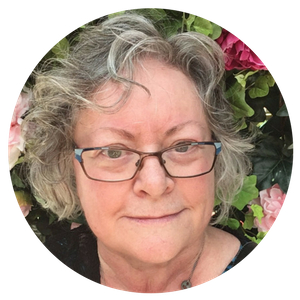 I opened up to my creative and healing sides, studying jewelry-making, lapidary, herbal medicine, aromatherapy, permaculture, ancestral crafts, foraging and permaculture, the making of sacred tools, fibre arts and more. And the journey continues . . . who knows where this magick and mystery will lead? ​I created Inner Journey Outfitters in 2004 to support individuals on their journey, through NLP-based transformational coaching, PSYCH-K® balancing and shamanic journeying, and this work continues (see the Work with Me page for more information).. Inner Journey Events was founded in 2008, as a division of Inner Journey Outfitters, and was soon featured in Macleans magazine as Advice for the Beginner Psychic. Our initial focus was holding the light for individuals developing their intuitive abilities and those on a journey of personal growth. For many people, our events provided one of the few places to openly discuss their gifts and their journey in a safe, non-judgmental atmosphere. The number of workshops grew and soon included a range of topics from Alchemy to Zen, including many intuitive and healing modalities, energy work, core shamanism, earth medicine, meditation techniques, creative workshops and more. committed to the environment, and to the health and education of the world's children. 1% of our income, 1% of our time and 1% of our products or services.